Every year I wonder how it is I get so busy. I know I have a full time job, a part time job, and a teaching job (one night a week). But that doesn’t mean all my time is taken, right? Ok, so maybe it is! Staying so busy has taught me many tips and tricks to help save time and money. Most all of these ideas are inexpensive, if not free, and take very little time. Many are natural, or at least geared towards sustainability. I hope you enjoy the following tips! 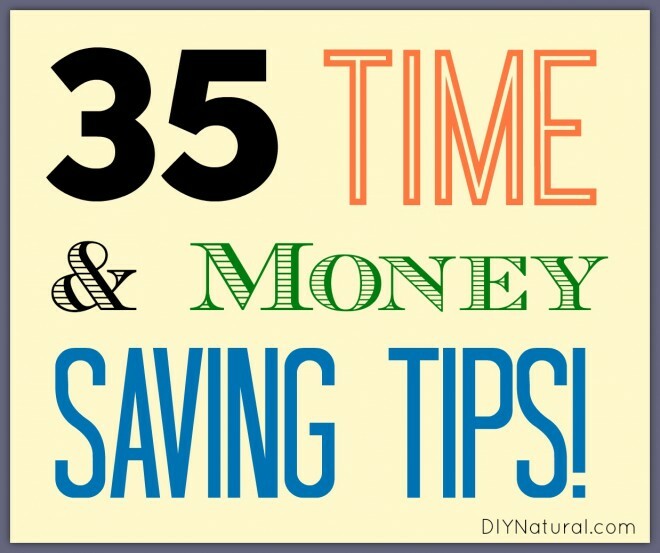 My 35 Time and Money Saving Tips! Freeze leftover coffee. It will keep chilled coffee drinks cold and not dilute them. Make mixes ahead of time. You can see some of my recipes here. They save time because you don’t have to assemble the ingredients every time, and you won’t have to deal with all the artificial ingredients. Use the water from your dehumidifier to water your plants. Mark the measurements for your baking mix (or whatever) on a quart jar and use this every time you use the mix. Freeze meat like hamburger in one pound increments in a zip top bag. Lay it flat in the freezer. It will freeze faster and thaw faster too. Apply hand cream to the wire holding the hummingbird feeder. No more ants! Apply a thin coat of hand cream to the inside of a jar lid that sticks. Oil works too, but could go rancid over time. Make a gallon of hummingbird food and freeze it in ice cubes. The night before you need to fill the feeder, take some out and place them in a bowl in the fridge. Buy spices in bulk at your local food co-op (or online at Mountain Rose Herbs). Store spices in baby food jars (a spoon will fit in here but won’t in a spice jar). Decorating on a budget? Acquire different plates, cups and bowls from local thrift stores for a Bohemian Chic look. Reuse and recycle! Save leftovers in sectioned trays for easy take to work meals – check out these neat ones on Amazon. Can fruit in just simple syrup. Later you can use them for anything, not just jam or pie filling. Put a few drops of neem oil in fountains to discourage mosquitoes. Place a penny (must be 1981 or older to be copper) or copper wire in a bird bath to prevent algae. This doesn’t work in ponds if you have snails, it will kill them. If algae does form in birdbaths, use the water to water your plants. Sprinkle diatomaceous earth around plants to keep cutworms away. Fashion a pipe to collect the rain water off of a shed or barn roof and aim it towards a horse trough or chicken water bucket. Don’t forget the neem oil! It’s harmless to large animals. Give your chickens a dust bath area like a kitty litter pan. Add diatomaceous earth (food grade only) to keep away lice and mites. Create chicken “tunnels” along your garden to let them eat the bugs without getting into the garden. Take chicken wire and bend it into a curve and anchor down with landscape fabric pins. It’s easy to move to the next place that way. 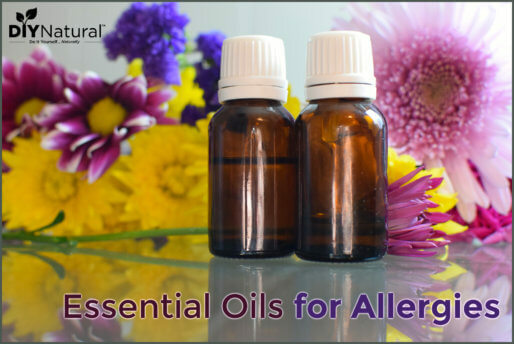 Add lavender essential oil to your laundry to help keep it smelling fresh and keep bugs away. Keep a bottle of pine essential oil in the bathroom. Use a few drops in the toilet to chase away offensive odors. Add a few drops of grapefruit essential oil to any shampoo to help clean without stripping away natural oils. Grapefruit essential oil is also strong enough to strip the waxy coating from of a flea, but gentle enough for your pet’s skin. Add a few drops to their shampoo too. Use shower caps (new ones) to cover food if you have no cover that fits. Rub a brazil nut on a scratch on wood furniture and buff. It will fill in the scratch. Use a hanging shoe rack on the inside of the kitchen door for all those little “I’m not sure what to do with this, but I’m sure I’ll need it.” items. Make scoops from milk jugs. Use a clip type hanger on a cabinet handle to hold a recipe card. Keep an overnight bag in your car packed with essentials. You never know when you’ll get sprayed with soda, soaked by rain or something worse! When you move, put your can opener in your purse. Seems strange, but I’ve lost two of them in moving! When you take apart a table or shelf, place the nuts and bolts in a plastic bag, label it, and tape them to the back/underside. I’ve lost some of these too. If you have a long day planned, make your bed with clean sheets before you start. It will feel so good at the end of the day to lie down in clean sheets. Place fabric sheets with a few drops of essential oil on them when you pack away suitcases after a trip. Place plywood in an unused loft space and load with broken-down cardboard boxes. I don’t know how many times I went looking for just one empty box! Keep natural kitty litter in the back of your car during the winter. It helps with weight if you are on ice and can be scattered on the ground to help if you are stuck. Plus-it’s biodegradable. What natural, money/time saving tips do you have? I’m sure there are many more tips and tricks out there, but this is a great list to start with! What tips save you time, money, and make your life easier? The oven door handle is a handy place for a towel but it likes to migrate to the floor. A clip on one side where it is doubled over the handle keeps it in place. Thanks Hans! My towels always end up on the floor! I’ll try the clips. I love this list, another time saver is to chop up your onions and put them in ziploc bags and freeze them ahead of time, then when your in a hurry you can just pull them out and toss them in to the pan instead of having to peel and chop them in that moment! 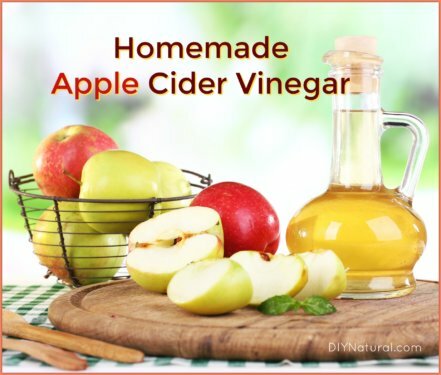 it saves me, and home schooling mom of three, a lot of time, I do this with other things as well, besides just onions! it really works great! Thanks Tanya, I’d forgotten that one. I do it with green peppers too. It seems like I always have half a one left and by the time i remember it, it gets slimy. Now it goes into the freezer all chopped and ready to go. I absolutely love your emails. Amazing tips and advice on so many interesting subjects. Thank you so much. Thanks Annick! I’m already compiling another list. I’ll be writing about those in the future. Ditto on the pennies in the bird bath! Unless they are really old pennies, and those are collectables now. Another tip when moving, especially if you have small kids. Put all their medical records, birth certificates, SS cards, ect. under the front seat of your car. One of the first things you may need to do when you get to your new home is enroll them in school and these items are necessary, take if from a School Secretary. Stashing the remote to the TV under the seat is another good thing to do, especially if you are moving to a storm prone area during peak season, keep an eye on the weather. Thanks for the reminder Judith. I never thought to keep important papers in my car, just in the safety deposit box. This was an awesome list! There are so many things on the list I never would have thought of. I have one for you…. 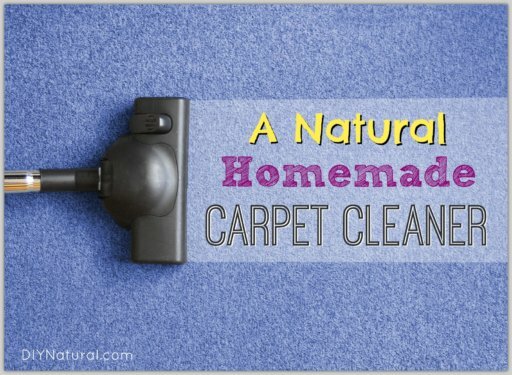 Use a Computer Air Can to clean those crumb filled cracks in your kitchen table. Works like a charm! Thanks Tracy! You’re right, I would never have thought of that. I use it on my computer and it works to loosen the dog hair on the back of the refrigerator. Pennies should not be put in water troughs. They are NOT made of copper. Better to put a section of copper pipe. Pennies are made of zinc and could cause toxicity issues in some animals. The research I’ve found shows that the outside copper of the penny is enough to keep algae away and it will build up a film around it. Zinc is essential for cell formation and the small amount that a single penny has in it isn’t enough to cause worries. I just wouldn’t use a bunch of them. If you’re still leery, copper pipe works well. Thanks for pointing this out! Thanks Shere’e! I keep thinking of more that I’ve forgotten, and some of the readers have come up with even more that I’ve never thought of or that I’d forgotten. I’m going to start on another list!